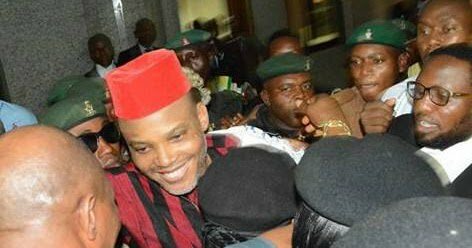 I don’t plan to be Biafra president – Nnamdi Kanu – Royal Times of Nigeria. Leader of the Indigenous People of Biafra (IPOB), Nnamdi Kanu has said he does not intend to become President of Biafra when it is finally actualized. Kanu speaking with Vanguard said he prefers operating from the background, pointing out that if the pioneer leader of the Movement for the Actualization of the Sovereign State of Biafra, MASSOB, Chief Ralph Uwazurike had remained consistent with the struggle, he would not be doing what he is doing with IPOB. He expressed satisfaction that some Igbo leaders were already identifying with the struggle and encouraged them to remain steadfast.